For some, part of the allure of snowshoeing is the ability to get out and connect with nature at a leisurely, relaxing pace. It is an opportunity to enjoy solitude or the company of a few friends far away from crowds, outside the city, surrounded by the silence and calm created by a deep blanket of white. Now, imagine that idyllic adventure as part of a romantic getaway weekend and you are beginning to picture a visit to Couple’s Resort in Algonquin Park. Located on the shores of Galeairy Lake, Couple’s Resort is described as a five-star luxury resort with a limited capacity of 48 couples: http://www.couplesresort.ca/winter.php. The breathtaking wilderness of Algonquin Park, pampering in-house spa treatments and exquisite dining to nourish the body and spirit are just hints at what a stay at this resort entails. Snowshoeing through the tranquil Algonquin Park is an experience in itself. For those wishing to pack light, the resort has 23 pair of pro snowshoes available to loan and outdoor clothing including cold weather boots, windproof and waterproof pants and jackets, mittens, and polar fleece hats. While you’re going to want to pack your own warm layers to wear underneath, access to clothing deliberately selected for the region has its advantages. Walk the 1.3 km Algonquin Logging Museum Trail and enjoy nature, combined with a scenic tour through history. The slightly longer Spruce Bog Boardwalk Trail brings you up close and personal to two northern spruce bogs. More seasoned snowshoers may enjoy the extensive Sunday Lake Trail, also used by dog sledding excursions. Hikers regularly come across deer, moose, fox and wolf tracks and often catch sight of ravens, gray jays, woodpeckers and boreal chickadees. For bird and wildlife lovers, the silence of a winter snowshoe hike can be an ideal for spotting these winter creatures. At Couples’ Resort sport isn’t just about snowshoeing though. 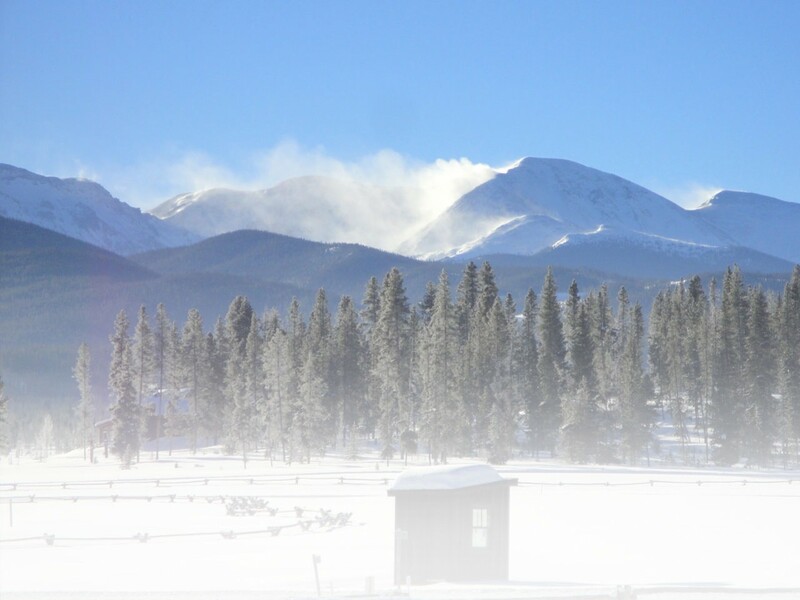 During the winter months guests can enjoy horseback riding, dog sledding, and snowmobiling. Ice skating on the lake, which is illuminated at night for a spectacular experience, is also available and access to free skates means you can follow your impulse and take advantage of a beautiful starry night without advance preparation. Ice-fishing experiences include huts and all the gear. Not something you may have access to at home, ice fishing may be one of those once-in-a-lifetime experiences you’ll be glad you tried. Available as individual experiences or special packages, Couples’ Resort spa treatments are an opportunity to unwind, warm up after a day outdoors, or hunker down with on a blustery day. The menu of options includes stress-relieving Shiatsu therapy treatment or the healing touch of a massage therapy session. Hot stones are said to ease muscle aches, reduce stress, and improve circulation. Body molding is used to replenish the system and restores proper muscle balance, while a head massage can rebalance energy and release blockages that cause stress and strain. Treatments are available individually or as part of several package options. More aesthetic treatments including manicures, pedicures and ‘footcials’ are available, along with scrubs, wraps, waxing and facials. For many, just the idea of getting dressed up, of spending quality time lingering over a fine meal in exquisite surroundings, is romantic and luxurious. For that reason, the resort requires semi-formal or cocktail attire at dinner. With all of the luggage room you saved not carrying snowshoes, skates and winter clothing, you have room to pack your finest. Not that it should have to be said in such an environment but during dinner, talking on a cell phone is prohibited, jeans and running shoes the same. Room service is available for those who prefer to stay casual. Though breakfast and lunch are casual, dinner reflects the same formal and elegant nature as the attire of the guests. Five-course meals include an amuse bouche, starter, soup or salad, entrée and a dessert. The resort offers multiple vegan and vegetarian options as well as gluten-free and “heart smart” choices. The culinary team uses its global influences to create meals focused on fresh, seasonal, and Ontario-grown ingredients. Wine stewards are on hand during the evening to help guests with their selections. Saturday nights features live piano music to set the mood. The resort’s rooms are designed to make you feel welcome, warm, and comfortable and they are perfectly suited for those who want to be out and about, and those who expect not to venture beyond their own door for an entire weekend. Lakeside balconies provide a connection to the scenery while real wood fireplaces and a supply of wood create opportunities for a romantic atmosphere indoors. A large, room-for-two Jacuzzi soaker tub may be welcome after an outdoor excursion, or just as a treat to help you unwind and relax. The resort also includes several suites and cabins that feature private outdoor hot tubs and a number of villa and chateau options with their own spa facilities. The Sorenson family has been looking after guests since 1967 but in 1989 changed to a couples only resort. In 2006, the resort joined Canada Select, an “industry led, consumer sensitive rating program.” – http://www.canadaselect.com/about. This entry was posted in Destinations, Features, Homepage Featured by Heather Seftel-Kirk. Bookmark the permalink.